Do you love the outdoors? Are you a fan of exercise, or a member of a running club that likes to get a drink after a long enduring run? Or, do you just want a nice quiet place to get a meal and a drink? If you can answer yes to any of these questions then there is one place that you absolutely must try. Chattaway has been in business for years in the heart of St. Petersburg, and we have spent that time creating one of the most welcoming and enjoyable atmospheres around for individuals to come and relax. 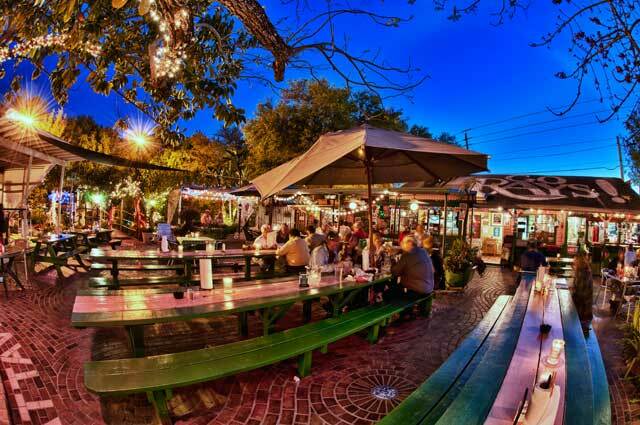 Whether you are looking for a pint after a run, or a meal with friends, our outdoor dining is second to none. You will be hard pressed to find a restaurant that has as much flora hiding you from public view as ours. This aesthetic has been designed to give you a semblance of privacy while you are eating outdoors. Rather than have to eat inside like you would anywhere else, we have done our best to give you the most unique outdoor dining experience possible. It is with this in mind that we have built our restaurant. If you have a craving for a wonderful meal outdoors, and want to have a peaceful experience, the one will have here is among the most pleasant.